A leading dentist, Dr. Byron W. Wall is committed to the people of Albuquerque. Dr. Wall believes in helping improving the appearance of people's smiles as well as their overall dental wellness, offering the latest in cosmetic dental procedures and advanced restorative dentistry services. When patients are missing teeth, they have a number of concerns that have to be addressed. With that in mind, let's consider the dangers of tooth loss and the different treatments available to address missing teeth. When you are missing a tooth or multiple teeth, you will face a combination of cosmetic issues and dental health issues. In terms of the aesthetic problems that you will face, gaps between teeth can make you feel self-conscious about laughing and smiling, even around people you have known for many years. In addition, missing teeth coupled with bone loss and gum recession around the upper and lower jaws can lead to loose or hollow skin around the lips and cheeks, altering overall facial appearance. With regard to dental health, it can be difficult to eat certain foods, especially if you are missing many teeth. This can lead to issues with nutritional deficiencies and so forth. Missing teeth can also cause misalignment of your remaining teeth. When missing just a few teeth, dental bridge are considered an ideal solution. A dental bridge helps fill the gap that's been left by missing teeth. The bridge is secured in place by latching around the remaining tooth structure. An alternative to the removable bridge, patients can also get a crown-supported bridge placed. This fixed dental bridge has a dental crown on either side, bookended the traditional bridge. The dental crowns cap the existing teeth, holding the false teeth in place more securely in the process. Partial dentures are a good option for people who are missing multiple teeth and are no longer good candidates for dental bridges. Rather than latching around adjacent tooth structure like dental bridges, partial dentures brace against the remaining jawbone and gum tissue of the dental ridge. Full dentures are the ideal option for people who are missing most or all of their teeth. Like partial dentures, full dentures remain in place by bracing around the structure of the dental ridge. In order to improve stability, denture creams/dental adhesives may be recommended. Dental implants are artificial tooth roots that are surgically embedded in the jawbone and gum tissue of a patient's mouth. After a months-long healing process, the dental implants are able to support a dental crown, a dental bridge, a partial denture, or a full denture. Implant dentistry offers the best stability and results of any of the treatments above, though patients need to have sufficient jawbone and gum tissue present to support the implant. 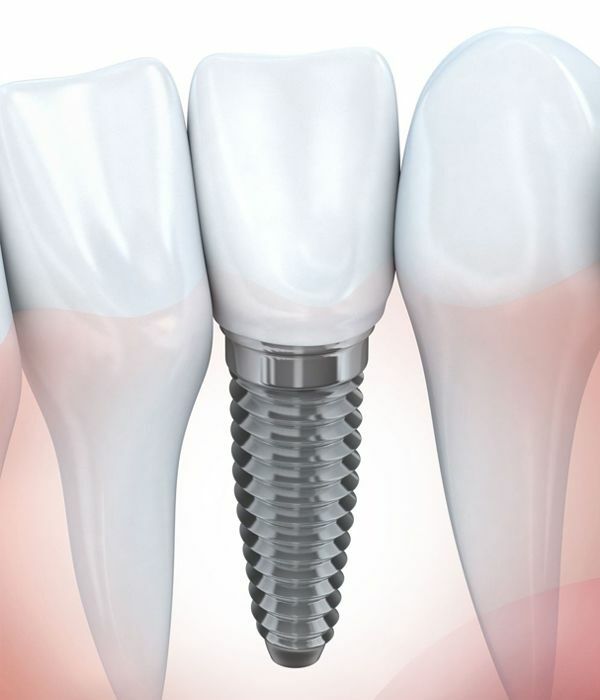 Candidacy for dental implants can be discussed in greater detail during the consultation process. To learn more about treating tooth loss and helping you have the healthiest and most beautiful smile possible, be sure to contact our advanced dental care center today. Dr. Byron W. Wall and his team will work with you to help you smile with absolute confidence again.